Spend your vacation loving life at Seaward Villas II in North Myrtle Beach, South Carolina. This attractive North Myrtle Beach resort has an excellent location near the beach, in the beautiful Cherry Grove section. You and your family will be a short walk from popular North Myrtle Beach attractions and amusements when you stay in a stylish and practical condo rental at Seaward Villas II. With an exceptional location near the white sandy beach, you and your water-loving family will have endless hours of fun playing in the salty surf and making memories that will last a lifetime when you vacation at Seaward Villas II in North Myrtle Beach, South Carolina. When you and your family escape to Seaward Villas II, you can count on a memorable vacation that will not break the bank. This pleasing North Myrtle Beach resort has a variety of condo rentals to fit your adventurous family at a great price. Spend your days basking in the warm rays of the sun when you vacation at Seaward Villas II in beautiful North Myrtle Beach, South Carolina. This well-appointed North Myrtle Beach resort is surrounded by countless restaurants, shopping centers and amusements. When you and your family stay at Seaward Villas II, you will experience North Myrtle Beach like you had never dreamed imaginable. 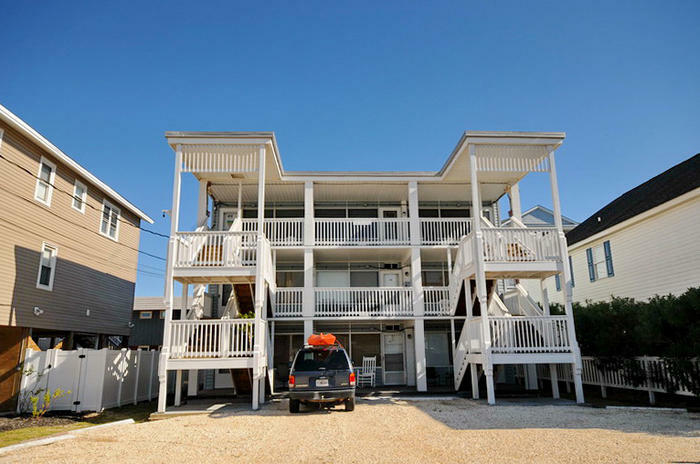 With a comfortable condo rental at this popular North Myrtle Beach resort, you can rest assured that you will be close to all of the thrills and frills this area is famous for. You and your family can spend your well-deserved vacation days on the tranquil beach, with your toes in the warm sand, listening to the music of the ocean or you can visit the local theme park and squeal in delight as you ride fast and enthralling rides on your long-awaited vacation at Seaward Villas II. This appealing North Myrtle Beach resort gives groups and families a chance to experience living the resort life at a price you can afford. Each of the tastefully decorated condo rentals at Seaward Villas II has all of the comforts of home so you can relax and enjoy your time away from the everyday. At Seaward Villas II in North Myrtle Beach, SC, you will be in a prime location to have fun with your family. Whether you like to golf or prefer putting around a miniature golf course, you will love the location of this inviting resort in North Myrtle Beach, South Carolina. Elliott Beach Rentals is not affiliated with onsite management or the HOA of Seaward Villas Ii.